On a Saturday morning in 1972, Washington Post metro editor Harry Rosenfeld began overseeing a story about a burglary that would eventually bring down an American president, inspire an Oscar-winning movie and usher in an era of investigative journalism. 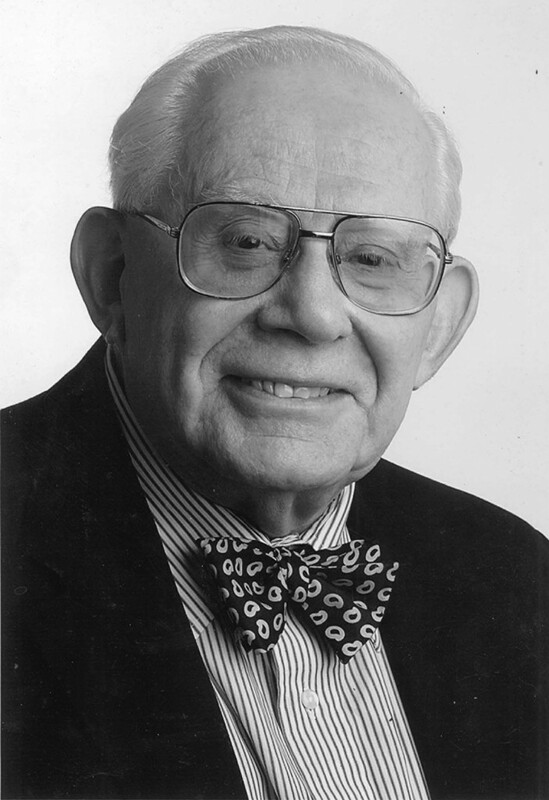 Rosenfeld, then 42, supervised reporters Carl Bernstein and Bob Woodward, (whom Rosenfeld hired) as they linked a break-in at Democratic campaign offices in theWatergate Office Complex to President Richard Nixon. “It scared the marrow out of my bones,” Rosenfeld has said as details surfaced. 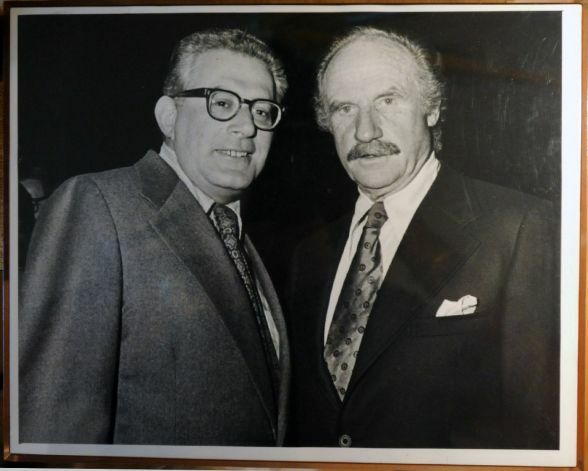 His place in American newspapers assured, Rosenfeld also remains a fixture in Albany, where he served as editor of the Times Union and retained his Watergate-era insistence on journalism with impact. 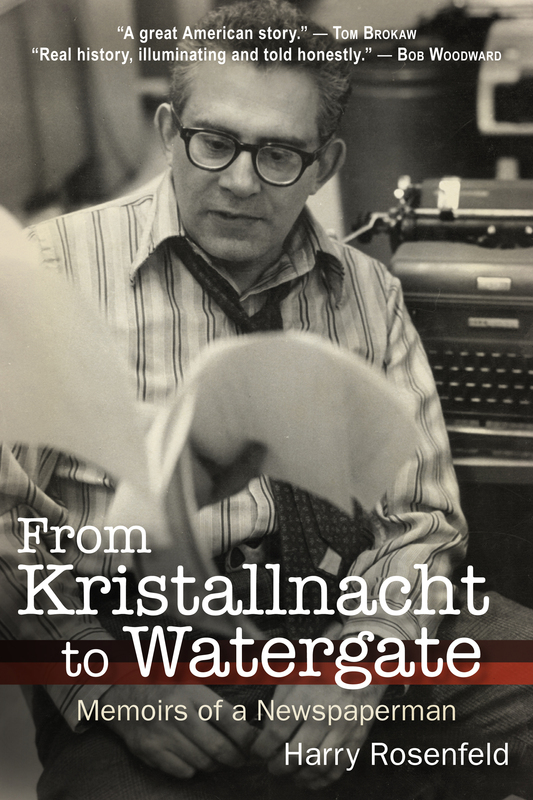 But Rosenfeld’s story, detailed in his new memoir, “From Kristallnacht to Watergate,” starts in Berlin, where as a child he watched the Nazis’ rise to power and fled with his family. 1.What lessons should young people take from the events – Kristallnacht, Watergate – that have shaped your life? I don’t think there is one lesson to take from Kristallnacht or Watergate, but especially Kristallnacht. It was not until I was fully an adult that Kristallnacht was viewed by historians as the opening act of the Holocaust. I see it that way, but also in the personal impact it had on my life. Students today cannot have that experience but they can learn from Kristallnacht that whenever a community, usually a minority community, is singled out for alienation and special punishment, something dreadful is going on that needs to be opposed – even if it won’t be the first alarm of genocide. As to Watergate, again my personal experience can’t be replicated. The tensions and conflicts can be read about but not lived personally. But the major import of Watergate is clear: the indispensability of investigative journalism to the welfare of the nation. 2. Are we witnessing the end of newspapers? If I could predict the future I would be wealthy. Journalism for decades has been up against it and hasn’t done a good job coping with the technological changes that have made publishers tons of money as they were able to cut overhead but also led to readers turning away and advertisers following their lead. When newspapers somewhat belatedly got into using the Internet, they gave their value—their journalism—away, free. That turned out to be a huge mistake as now users resent having to pay for something they had been accustomed to receiving at no cost. But I think newspapers will make that transition and increasingly exploit the Internet in tandem with some form of a print product. The largest papers, The New York Times, The Wall Street Journal, and now The Washington Post (under new ownership) will probably continue their print operations for the longest time. They will also find their readers not in a city or state, but throughout the nation and perhaps the world, through the Internet. At the same time, local papers have a good chance to survive in print form because in a particular place they are the only source of the kind of news that people in the circulation area want to read. Generally speaking, TV and radio haven’t done a good job, because they probably suffer from even tighter staffing than newspapers. 3. Given the obstacles, what is there to inspire the next generation of reporters? If they are dedicated enough to even consider newspapering, then they should be aware that the powers enjoyed by the press through the Constitution oblige them to do the kind of work that needs protection. The hallmark of excellence in journalism is investigative, enterprising, explanatory work. Select whatever descriptive best suits you and make sure you do it. As for Jack Warden’s portrayal, I can tell you that he told me that he was not playing me, but playing a role. He did spend time with me and watched me at work, but I was then in another assignment directing the National staff. He wore his tie at half staff, as did I, and with my sleeves rolled up a bit, as was my habit. 5. So you wore your necktie, as you said, half staff during the Watergate days. So when did you switch to your signature bowtie? It was at the Times Union; every so often there was a hat day, etc., when everyone wore a hat at work. Once, that was bow tie day, I bought one, wore it, loved it and kept wearing it, forever saving money not spent on dry cleaning my four- in-hand ties.